Bahamas Hotel Association Allied Member American Hotel Register Contributes to Hotel Industry Partners Scholarship Fund – American’s Director for Sales Marcus Guara (left) presents contribution to BHA President Stuart Bowe and Executive Vice President Frank Comito. Many small and medium sized hotels, particularly those in the Family Islands, are now able to take advantage of volume purchase discounts afforded to chain hotels and large resorts thanks to a new discount program unveiled by American Hotel Register, an allied member of the Bahamas Hotel Association. The new program, titled the ‘American Independent Advantage Program’ was announced at BHA’s recent membership meeting by Marcus Guara, Director of Sales for the Caribbean, Latina America and the Cruise Lines for American Hotel Register. American is the world’s largest supplier of hotel products including, linens, towels, sheets, bath amenities, case goods, outdoor furniture, uniforms and tens of thousands of other products. The program is exclusive to independent hotels and tourism-related members of BHA and provides purchase savings of up to 20 percent on over 3,000 product SKUs from over 50 vendor products. The program also provides incentives for reducing freight costs. In announcing the program, Mr. Guara stated “For several years we have explored with BHA how to support some of the purchasing needs of the many small independent hotels throughout The Bahamas. We believe we’ve come up with an incentive program which works for all parties. In addition to the discount program, American will contribute one percent of all sales through the program to the BHA scholarship fund”. BHA President Stuart Bowe commended American stating “We applaud American and welcome this important initiative which assists independent small and medium sized hotels by giving volume pricing discounts which large hotels and chains have long benefited from. While working with a group of small hotels several years ago, the idea for a discount program was seeded. Since that time we have explored numerous options and are pleased that the American Hotel Register has worked with us to come up with a solution. 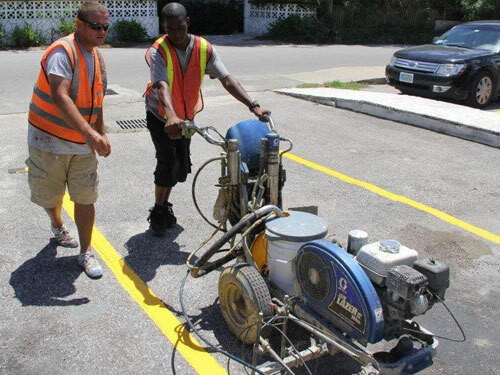 “Programs like this support our small hotels, many of which are owned by Bahamians, and located on the Family Islands where the cost of purchasing goods is higher. We are especially pleased that the program will assist with our ongoing scholarship initiatives, and the $1,000 down payment made by Marcus and American demonstrates their commitment” according to President Bowe.